Enjoy a free outdoor concert on the labyrinth featuring Shenandoah Run at Maryland Hall for the Creative Arts on Wednesday, June 19 at 6 pm. Part of the Sachs Memorial Summer Concert Series, the performance takes place on Maryland Hall’s front lawn, so bring your lawn chair, blanket, and a picnic basket and settle in for a relaxing evening of music on the labyrinth. 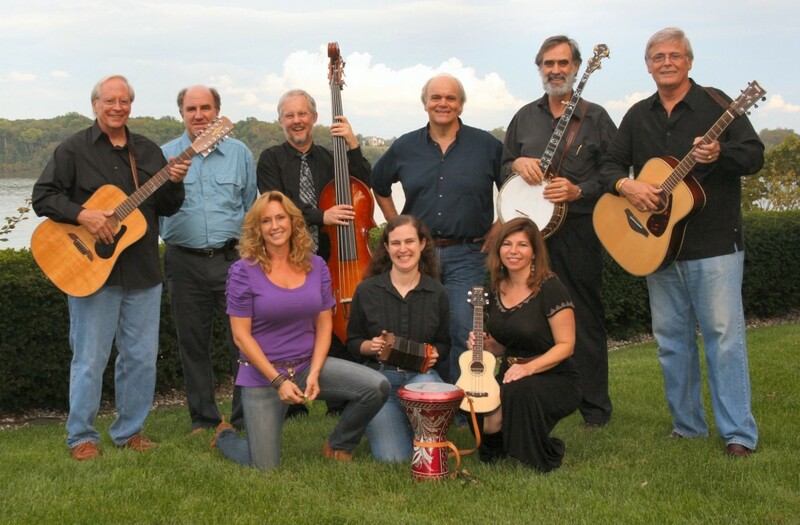 Described as contemporary folk music with a kick, Shenandoah Run performs American folk music songs ranging from the 1960’s to today. From the esoteric to the toe-tappingly familiar sounds, you will be treated to the lush six-part vocal harmony and skillful instrumental backing that define the group’s instantly recognizable sound. Founded by veteran folksinger Bob Melissinos, the group merges the talents of nine musicians with years of combined experience. With their collective insight, intuition, and love of great music, they produce arrangements that are fresh, varied, and often unexpected, while still remaining true to the spirit of the folk-music sound. The Sachs Memorial Concert Series is underwritten in part by Deborah Love in memory of her parents Joe and Jackie Sachs. Joe Sachs was one of the founders of Maryland Hall.